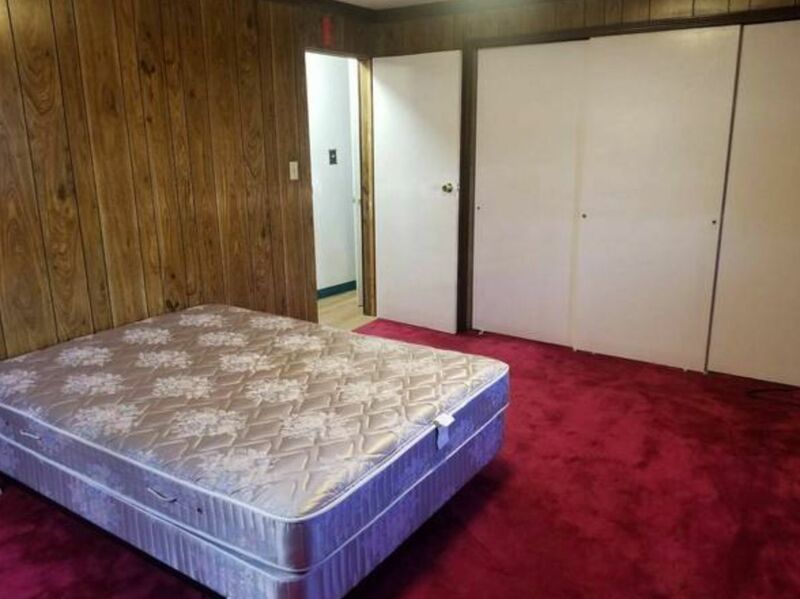 This week's edition of Apartment Sadness takes us out to the Sunset, where there's a partially furnished, partially carpeted one-bedroom fit for many memorable moments of quiet desperation and dread. 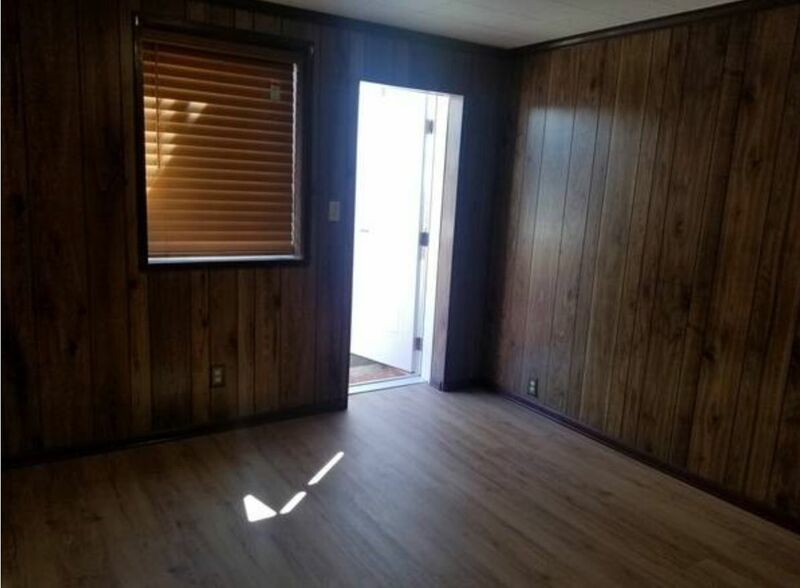 This $1800/month, 400-square-foot beauty is partially below grade, as we see from this entrance photo — and possibly not at all up to code? In any event: not ADA-compliant. 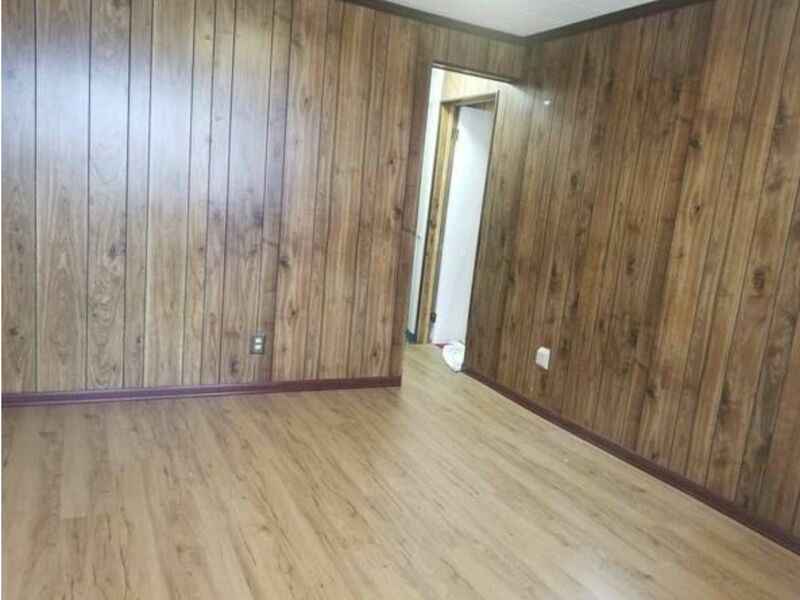 Upon entering the front room, you will notice that that there is a window, but even full sunlight streaming through the door can not brighten up the relentless brown-ness of the faux wood paneled walls and matching floor. Best to keep those shades drawn lest anyone see glimpses of your hopelessness within. The room's charms are highlighted here by the jaunty angle of the photographer's lens. Moving on to the kitchen, it is what you might call spare, but more recently updated than the paneling. 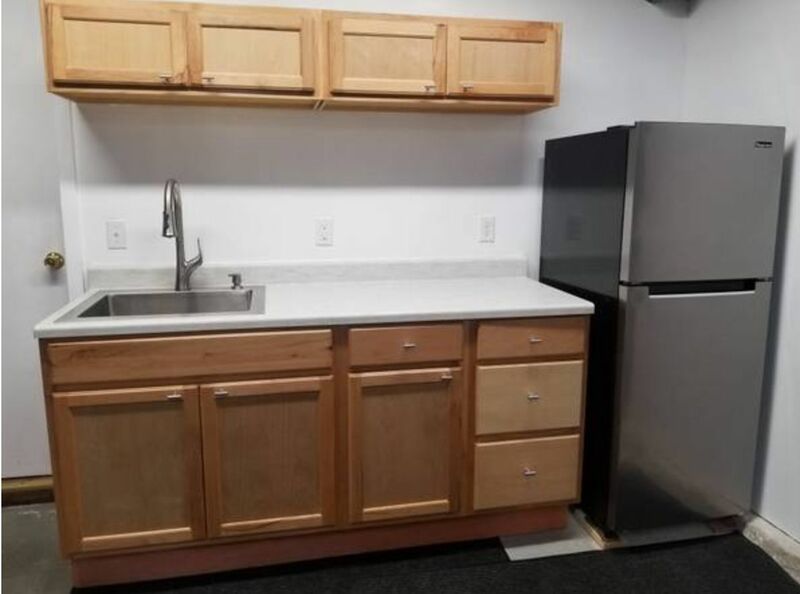 We are told in the ad, "This unit is furnished with exclusive faucet and sink, ample shelving, refrigerator, dual burner, queen-sized bed and dressers." Just don't get any ideas about Costco shopping. 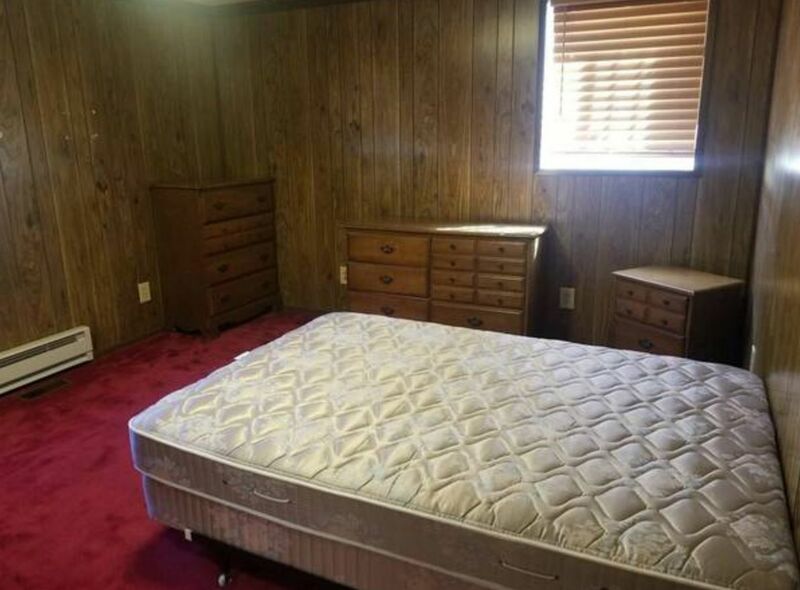 And stepping into the bedroom, we see it has been plushly lined with carpeting in a lovely shade of blood red. All the better to hide the stains! And a mattress and box spring have been provided. 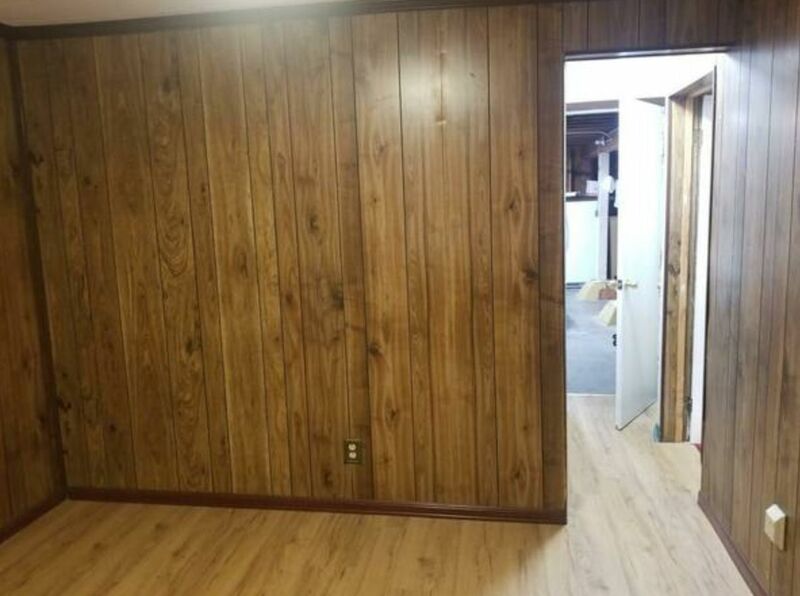 Also, there are several pieces of furniture that camouflage nicely — just sort of disappear into the background wall color and really add to the sense of space. 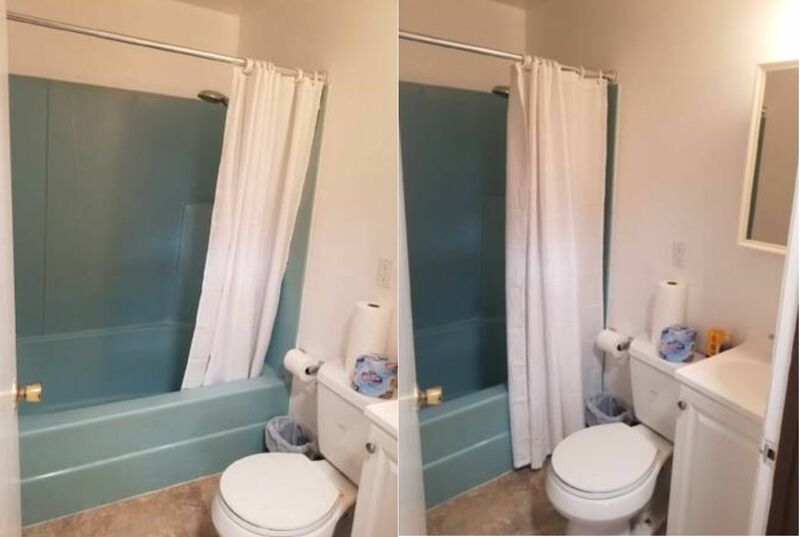 The bathroom, curiously, has been photographed twice from just slightly different angles, but I'm quite certain this is the same bathroom. 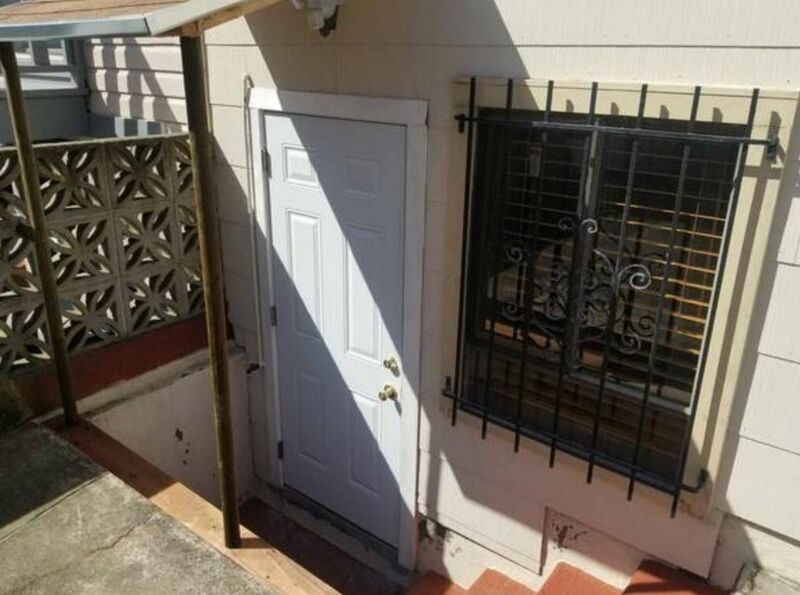 According to the ad, "reasonable" utility usage is included in the $1,800 rent. Also, it's in "a peaceful and safe residential community and is ideal for someone who values their peace and quiet." The owner lives upstairs, so, there's that. And though this would be an appropriate venue for an extended binge, "heavy drinking" is apparently not allowed — but how enforceable is that, really? And hey! It may be so far out in the avenues you can touch the ocean, but the price is right! $1,800 for a one-bedroom is like 2003 prices, my friend. The Cafe is closing this Sunday for a remodel that will last until June, or longer, and the owners may be looking to connect the former Bisou space downstairs back to the bar as it once was. Downtown Instagram trap The Museum of Ice Cream is launching something they're calling the "Sprinkle Spectacular" next week, and it involves characters named Pom Pom and Swirl.